Snapshot 14w17a has been released. 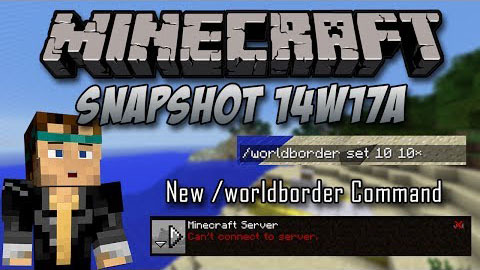 New customisable world borders! Check out the /worldborder command. Lots of bug fixes, performance gains and code cleaninguperizing. To get snapshots, open your launcher and press the ?New Profile? button. Call it ‘snapshots’ and check the box saying ‘Enable experimental development snapshots’ and save. To switch to the normal version, you can select it in the dropdown at the bottom left corner of the launcher. Back up your world first or run the game on in a different folder (See the ‘new profile’ dialog).